There’s so much going in Mexico that me and RobViper had to fly all the way back to the Reforma Holiday Inn Express to record a podcast. 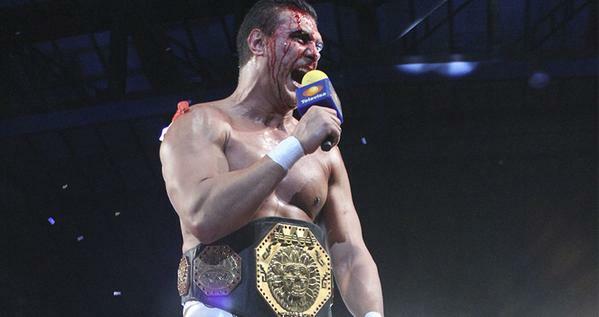 Topics include Alberto el Patron, what to do with the AAA Mega championship, Elite Lucha Libre, Caristico, and FantasticaMania. Topics almost do not include Lucha Underground since we both forgot to talk about it until about the end. It’s about 70 minutes of a sometimes meandering conversation for you to enjoy. I put these matches up on YouTube without checking if everyone who supposed to be in the matches actually showed up. They all did! That’s incredibly unlikely. Unfortunately, it appears few of the fans actually showed up (especially on the floor.) Karaoui winning an IWRG title seems to be another sign he’s not actually going to CMLL at the moment and that was a weird fakeout. Speaking of fakeouts, Golpeador actually getting a rival and a feud seems like a fakeout of him being the loser of the mask match next week. Nothing really noteworthy on the show. This served a purpose of killing time until IWRG was done airing. Ultimo Guerrero is off all cards this week. He was off this Puebla card. 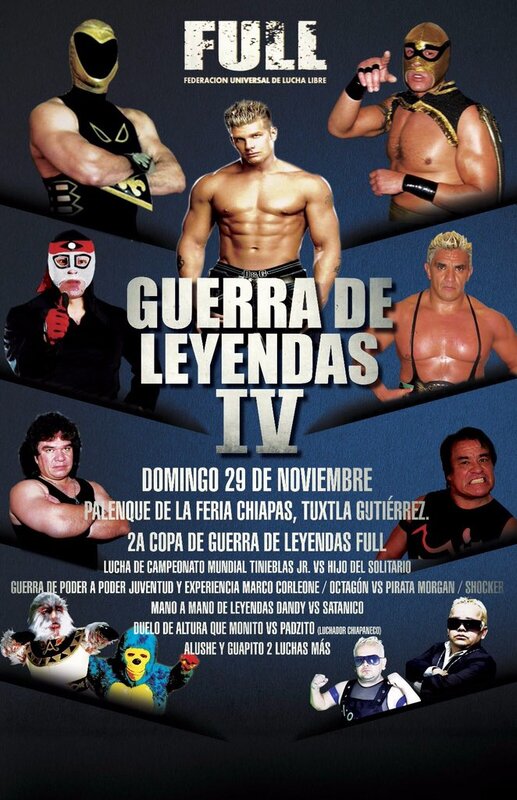 Mr. Niebla of all people fills in for him on Friday, and Gran Guerrero replaces him on Sunday. It seems like it must be an injury, which might also mean CMLL’s needs a new King of Hell for the Dia de Muertos shows. Whatever the next step is in Thunder/Ultimo Guerrero is off for now. Ultimo Guerrero also did miss his scheduled booking Sunday in Monterrey – they sent Gran Guerrero to face Caifan instead, which is kind of horrible – and but that appears to be because he double booked himself in California. Blue Panther Jr. is also apparently off the shows. Starman is listed in his spot in the preview today. The preview also hypes a Dragon Lee/Luciferno feud. I dunno. Main event is Mr. Niebla, Barbaro Cavernario, Kamaitachi versus Atlantis, Mistico and Titan, which could be a fun match. We don’t know anything about this being televised, or if even the lightning match (Puma versus Rey Cometa) will be up on YouTube. AAA put out another interview about the tag title feud, this one with Jack Evans. Jack & Angelico versus Pentagon & Lider and Daga versus Australian Suicide seem pretty locked in for Guerra de Titanes. Konnan did catch up with Alberto del Rio and some other friends last night. This seems like a good sign for Alberto actually working those remaining AAA shows. A FULL show in Chiapas has a Marco & Octagon versus Pirata Morgan & Shocker match listed as youth & experience teaming up. Young Shocker is 44 years old. Alfonso Penaloza talks about cutting hair in CMLL for 25 years. RCH is returning to activity on 12/03 at Arena Naucalpan. They’re (also) doing the bit of leaking out match by match; the first is Latigo & Felina Metalika vs Rayo Star & Reina Dorada. Puerto Rico’s Thunder Rosa will debut for WWS on their 11/08 Queretaro show. Main event could be fun depending on Niebla and tercera has a chance. Euforia & Thunder should be good for gifs. 5) Astro de Plata vs Astro Rey Jr.
would be Astro de Plata’s first match since leaving suffering a spine injury in 2011. Next week’s will be much shorter. I do not upload iPPVs (at least until they air on free TV) and we do not believe the Tuesday Arena Mexico show is airing. What happened: Sombra beat Shocker by using the ropes. Euforia challenged Thunder to a match next week. What was good: Nothing. This was a very skippable show. Shocker/Sombra may appeal to some, but nothing was outstanding on this show.